We had quite a few backyard pools growing up, and I can remember feeling every twig and rock under the plastic. Luckily sitting on lumps wasn’t a deterrent. 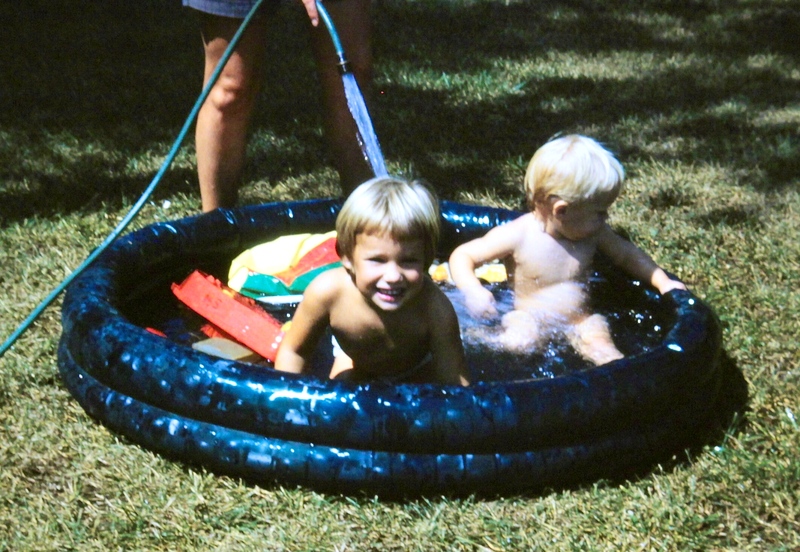 Nothing was more fun in the Texas heat than splashing in the inflatable pool. Do the kids today even know what that is? Definitely, it was great fun as a kid! I think today the pools are all the plastic molded ones.